Greetings travelers. Today we're going to discuss the upcoming launch of the long awaited Star Marine module with patch 2.6, and go through the features we expect to be included in the initial rollout. Star Citizen Alpha 2.6 will feature the long awaited launch of Star Marine, the standalone first person shooter component of Star Citizen. Like Arena Commander, Star Marine will exist within the game’s fiction as a kind of virtual reality video game, allowing players to take a break from the Persistent Universe and partake in some good old fashioned arena combat without the weight of character death hanging over their head. At CitizenCon 2016, CIG announced a new development roadmap, including details on the features that will launch with version 2.6 and Star Marine. Take a look at our in-depth analysis of CitizenCon - including a full run-down of the 2.6 to 4.0 development roadmap - right here. With Star Marine’s release finally close on the horizon, let’s take a look at what we know to expect from the module at launch. Two game modes, Deathmatch and Control. The exact rules of these two modes are not yet known. SATA Ball, a zero-G arena sport mode, will not be included in the initial release of Star Marine but is still planned for the future. This is the first iteration of Star Marine, and much like Arena Commander we can expect many updates and revisions as development continues. 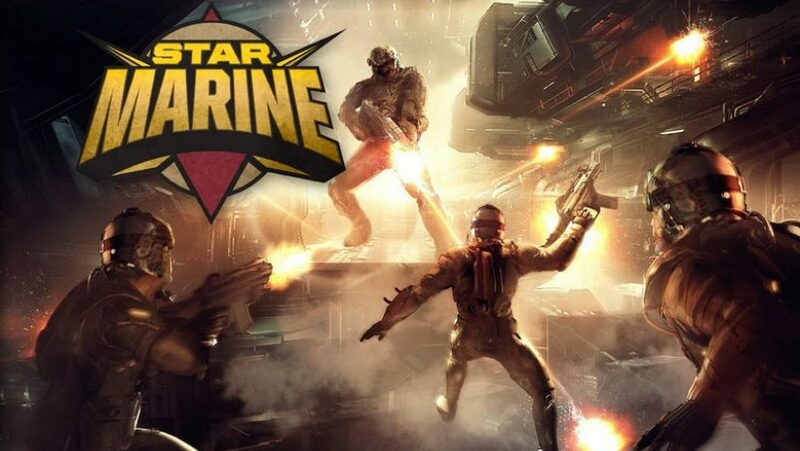 Star Marine will allow the players to get an idea of what the game’s FPS combat will feel like, as well as giving the developers a testbed to refine and balance the game’s on-foot weaponry and combat systems. The locomotion and animation changes should have a broad impact to the entire game, not only Star Marine. The recent Sneak Peek - Vision Stabilization video (seen below) shows a great improvement to the first person camera while maintaining 1:1 parity to the third person animations; getting that right has been an important aspect in both the development and the delay of Star Marine. Fan response to the sneak peek has been almost universally positive. The cover system is another long awaited addition, providing players with a system most modern FPS players will be used to, but - again - maintaining animation parity between what the player sees and what others see. To understand why this is so important, take a look at this example from Crysis 2 of what many games do with the first person player model when the character leans around a cover point. Back in August we got a look at the cover system in development, illustrating the kinds of motions players will be able to use, and the fluidity of the game’s new animation system. While we don’t yet have a firm release window for Alpha 2.6 and Star Marine, we know aspects of the new version are currently in the hands of the Evocati testing group. Star Marine and the rest of 2.6 will hopefully be in the hands of the backers very soon. [hr type="alt"] Thank you for reading! Please leave a comment below, we always appreciate the feedback and discussion! Zhane is a new writer with INN. The entire crew of INN welcome him, we're thrilled to have him onboard!